Remember when we told you about Project Leapfrog? Hiding behind that codename were said to be Sprint's blueprints for shifting its 4G network from WiMAX to LTE by the end of 2013. 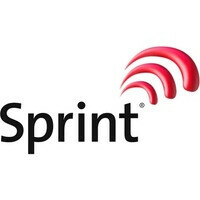 Sprint's transition to LTE has been speculated with for quite a while, but After Geoff Martin, who handles operations at the carrier's M2M Collaboration Centre in Sillicon Valley, delivered what seem to be the most reliable clues in favor of the network shift to date, doubts are really starting to fade away. During a press tour of the facility that he oversees, Geoff Martin commented on Sprint's alleged switch to LTE stating that there was a “high likelihood” of the technology being adopted by the carrier “in one flavor or another” and that “announcements will be made soon.” Earlier this year, the nation's third largest carrier declared that by the middle of 2011, a final decision will be made, and it looks like the transition is probably going to be confirmed once the deadline gets reached. If Sprint decides to switch to LTE for its 4G pipelines, the technology looks like a suitable candidate for the carrier's 14MHz of spectrum within the 800 MHz range. That bandwidth is currently used for iDEN-based Push-To-Talk services, which will be carried over to Sprint's CDMA network over time. "Operating three separate networks [CDMA, iDEN, and WiMAX] is hugely expensive," Martin said, but once the carrier network gets restructured during the shift, the number of Sprint's base wireless stations will possibly drop by up to 40% reducing network running costs by a great amount. I wonder what kind of effect this will potentially have on the sell of Sprint's 4G phones as the transition date gets closer. I mean, anyone that has a WiMax phone now, or will be getting one in the near future (like the soon to come Evo 3D), will in all probability be in the market for a new phone when LTE takes over. However, if it's late 2012 or into 2013, I'd be hesitant to plunk down $250 to $300 for soon to be obsolete technology. Will Sprint run WiMax and LTE simultaneously for a year or two (if this is possible)? Will they offer a substantial discount to customers that have WiMax phones to convert over to LTE equipped devices? Ultimatly this is the right move and those with a WIMax phone may lose out (probaly not soon enough to mean they dump their phone before they would have anyway, but may hamper resale value. The world is moving to LTE and this will mean more handsets available that support LTE. I hope in 5 years tiome for no GSM vs CDMA variants of the same device - just one LTE device that has the radios it needs to work worldwide (like pentaband GSM) and do voice via LTE too. This is good news as long as I get wimax 4g in the meantime. I live in a town of over 100,000 people and the only areas around here with 4g is two towns with less than 10,000 people no more than 15 minutes away and the college campus area. It irritates me! I need to get the full potential out of my EVO and right now I'm not.